Woke up this morning feeling good and ready to start this challenge. Just a quick note, this “new diet” will be a little different than what I’m used to. I typically eat very healthy, but eat a lot more to support my needs as a 23 year old male who works out pretty intensely 4 days a week with weights, plus cardio at least 5 days a week. I usually have chicken quite a bit, eat more whole eggs, more healthy fats and a protein supplement once a day. I will log this week in chronological order as best as I can. 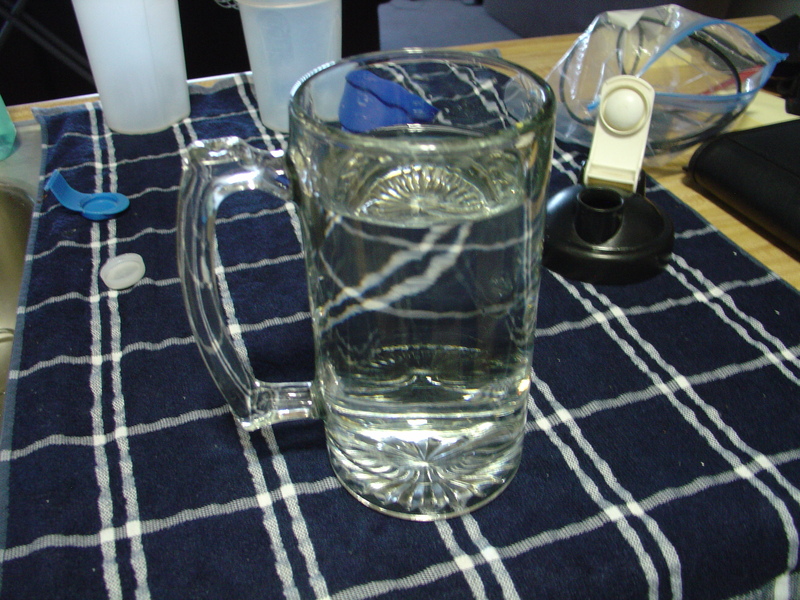 Poured myself 4 cups of water. This is a great way to start your day, even before eating or drinking any morning coffee. 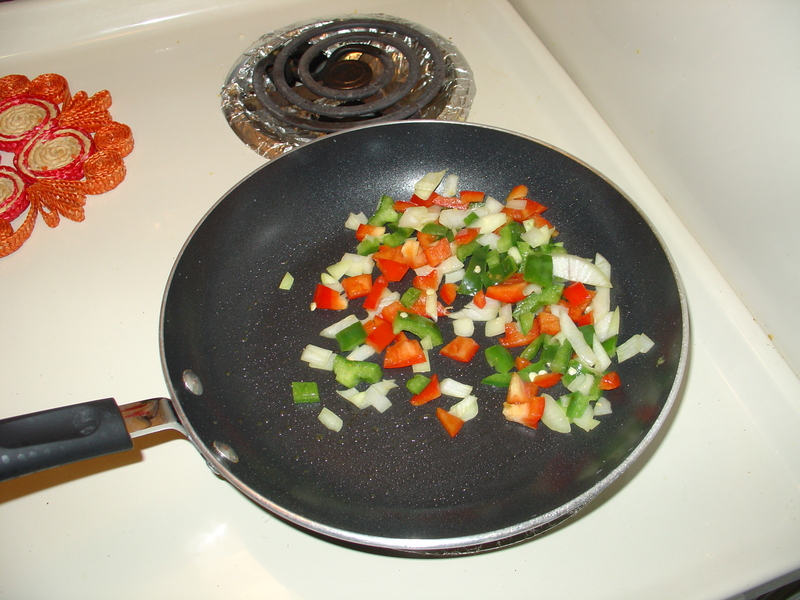 It jump starts your metabolism and also fills your stomach up a little bit to help with satiety, or fullness. It also has been argued as a good way to “cleanse” the body from the previous day, and get things flushed through your organs. I drank this while checking emails and other things on my computer. 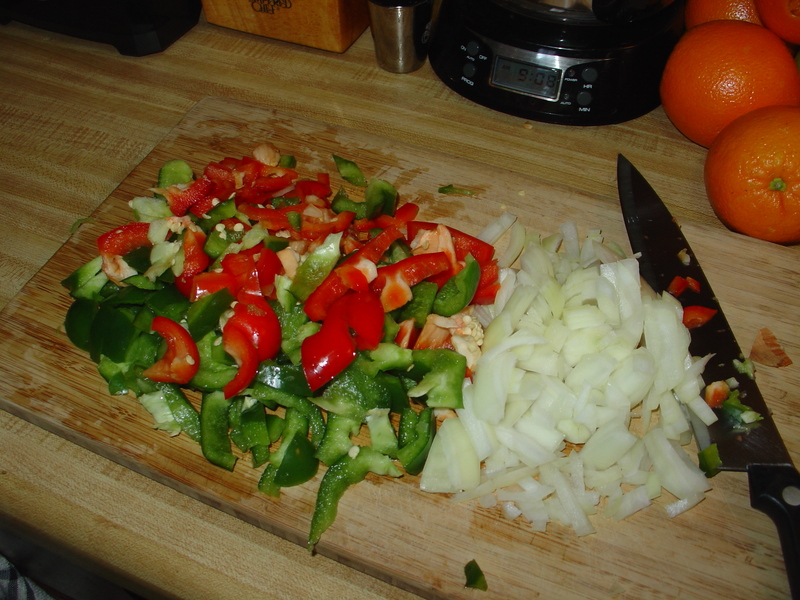 The first thing I did for breakfast was cut up my peppers and onion for my eggs. I also started heating a pan with 1 Tbsp of olive oil on medium heat. These vegetables are rich in many great vitamins and other phytonutrients. 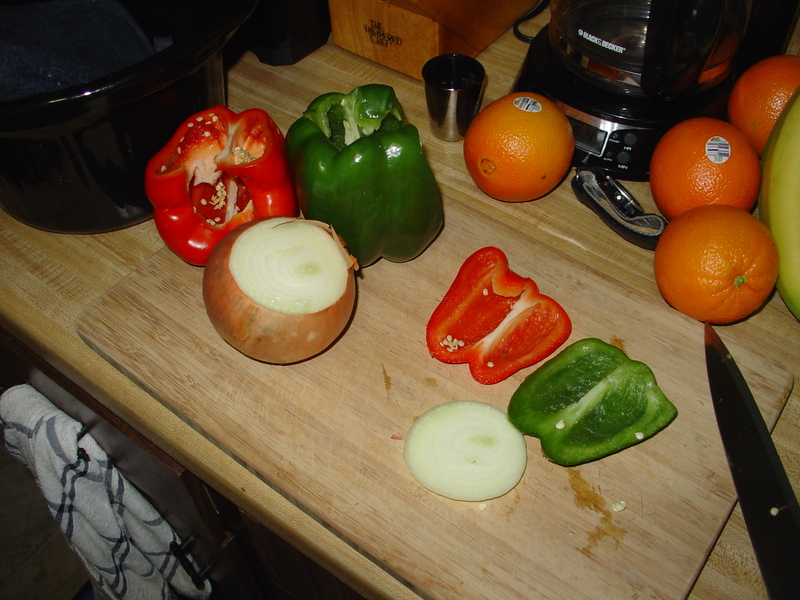 After dicing them, it came out to equal EXACTLY one cup of veggies (pretty good estimation I must say). I then added these to the pan and sautéed them for about a minute. While this was happening, I measured out and poured 1/2 cup oats into a microwavable container along with 1 cup of water, and microwaved for 2.5 minutes. 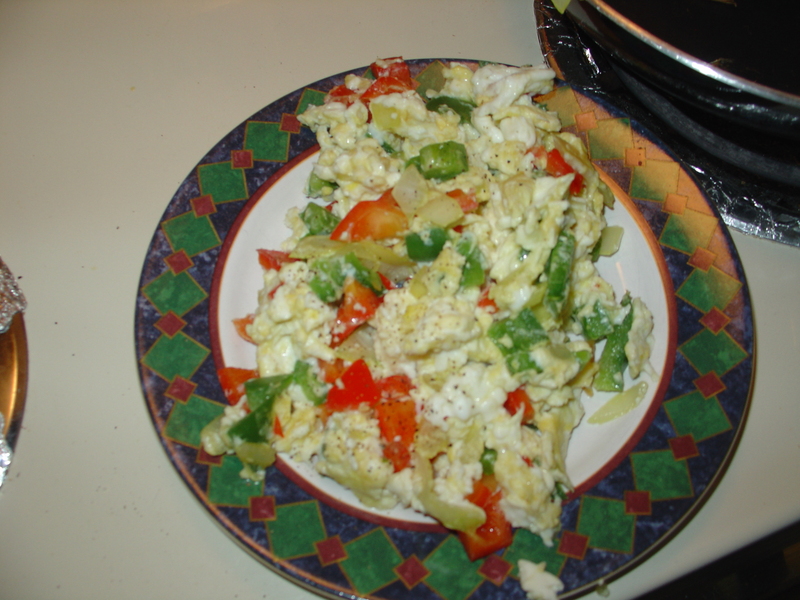 While the oats were cooking, I added one whole egg, and 3 egg whites to the veggies, scrambled and cooked until done. 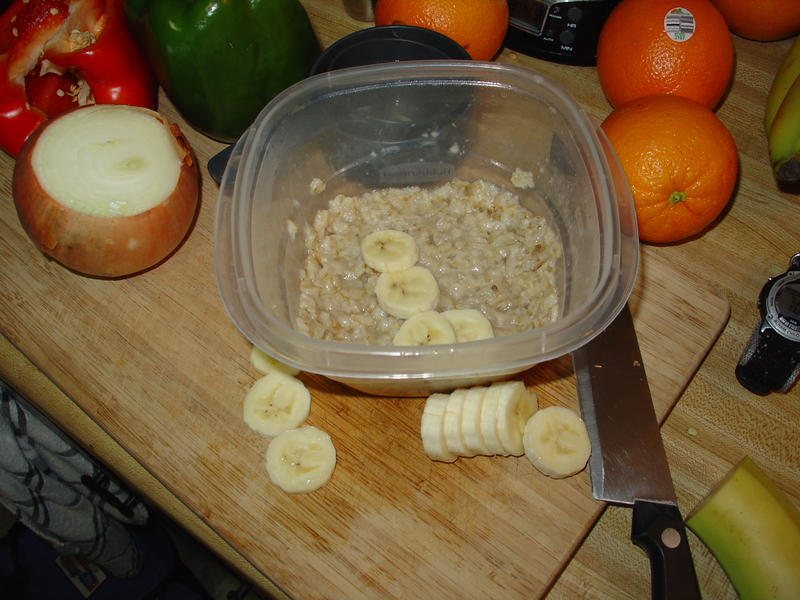 After the oats were done, I sliced up 1/2 banana and added it to the oats. This gave the oats some natural sweetness. I wrapped the rest of the banana in saran wrap and put it in the fridge for later. Along with breakfast, I had another 4 cups of water. 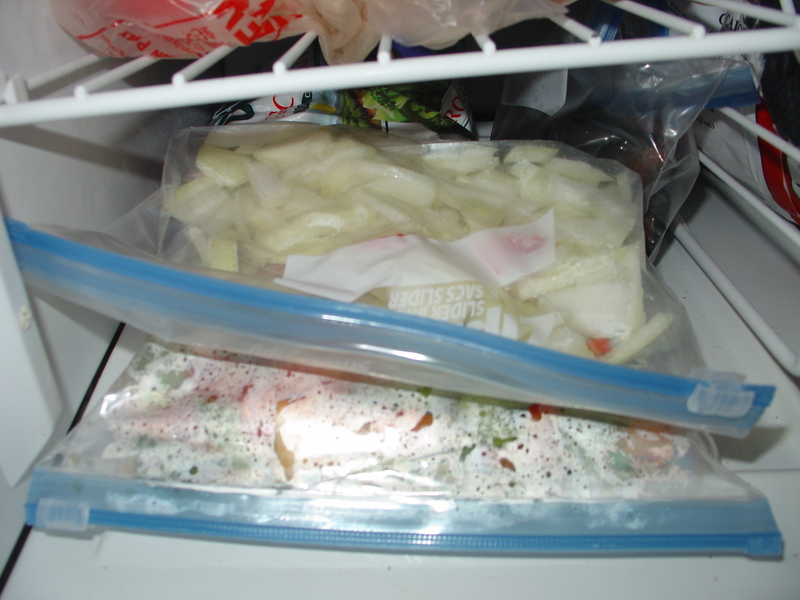 After breakfast, I diced up the rest of the peppers and half of the onion, and placed them in freezer bags. 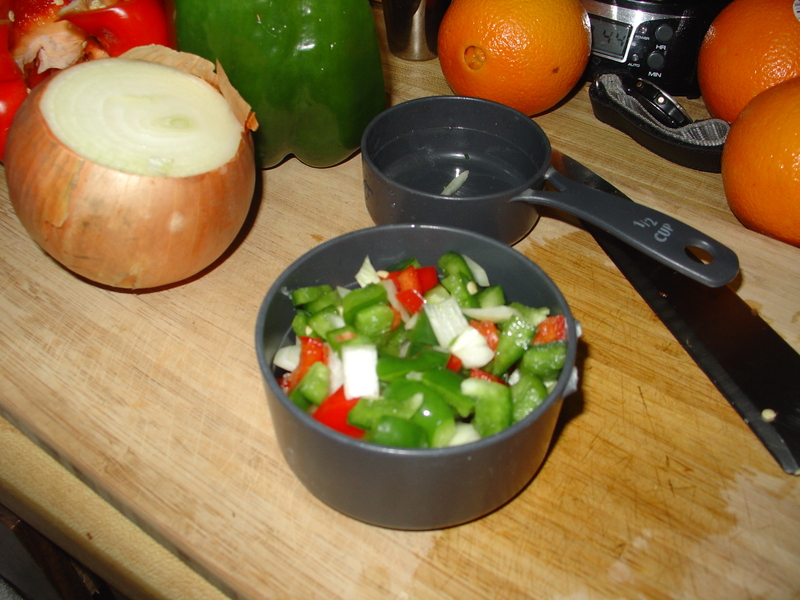 This will save time for when I use them in other meals, and keep them fresh in the freezer. 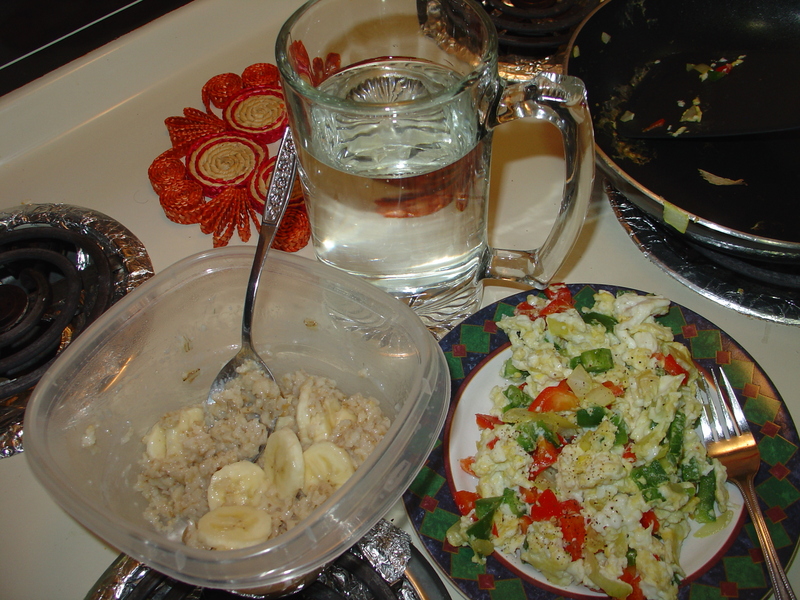 This entry was posted in Cheap Eats, Nutrition, SNAP Challenge and tagged breakfast, diet, eggs, food stamps, health, money, nutrition, SNAP, vegetables, wellness by Mike Gorski. Bookmark the permalink.